Pantene's newest hair tandem promises to restore hair to its virgin state. If you’ve never heard of keratin-porosis, listen up. For those ladies who love their locks, I’m sure y’all know constant washing is bad for the scalp. But what you don’t know is that the copper ions found in our water (yes, the water we wash ourselves with) don’t bode well for our hair either. When activated by the sun’s UV rays, the copper ions weaken keratin and cause hair to become porous and dull, resulting in the loss of that lustrous shine we all crave for. 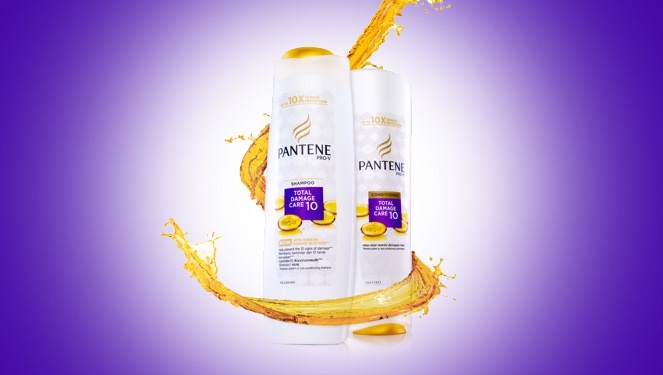 But thanks to the wonders of modern technology, hair care expert Pantene helped develop a shampoo and conditioner tandem that not only strengthens hair, but neutralizes copper ions to prevent further damage. And, just like that, science wins again! Pantene Total Damage Care 10 Shampoo (P110) and Conditioner (P165) are available at all leading supermarkets.